Through the annual University Student Exhibition, Atlantic Center for the Arts honors the outstanding work being produced by state university art students, and recognizes their dedication to the pursuit of excellence. The selection process for this exhibition begins with individual art departments. Department chairs are asked to nominate up to three full-time, degree-seeking students, in any medium or style. The quality of work submitted in years past indicates that the departments provide the intellectual and creative direction necessary for students to push their limits; resulting in work that is unique in its singleness of vision. By identifying and promoting these emerging artist, Atlantic Center hopes to focus statewide attention on the high level of creative and experimental work being produced at the college level throughout Florida’s state university system. 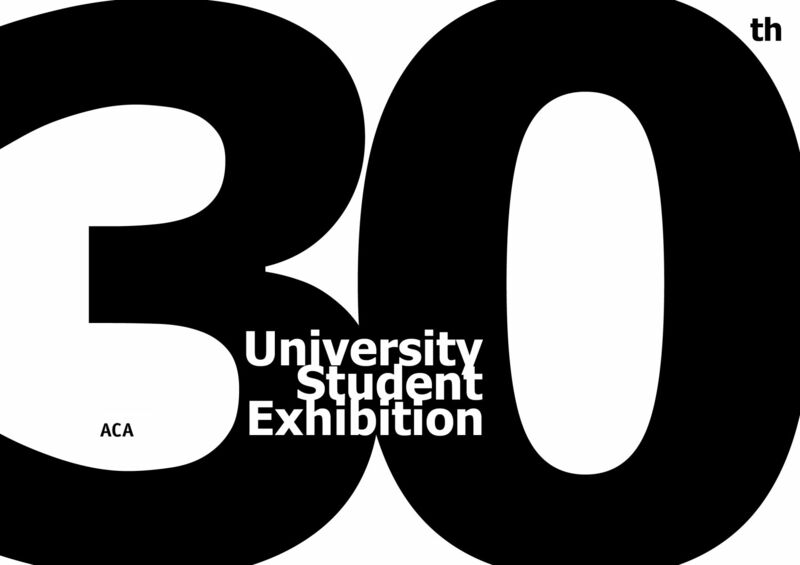 ACA’s annual University Student Exhibition honors the outstanding work being produced by Florida’s state university art students. The selection process for this exhibition begins from within Florida’s nine major state university art departments. Each art department is asked to nominate up to three full-time, undergraduate, degree-seeking students, working in any medium or style. By identifying and promoting these emerging artists, ACA hopes to focus statewide attention on the high level of creative and experimental work being produced at the college level. I love the Atlantic Center for the Arts and am grateful to be invited to jury the 30th Annual University Student Exhibition. It’s typical of ACA that they would think of doing something to nurture artists still at the undergraduate level. It’s so exciting to be chosen by a juror, and it’s such a drag not to be. I’ve been on both sides of that fine line between being chosen and being passed by; now that I have been many times in the role of juror, I can tell you that it is a very fine line. The arts are a place where values are proposed, and every value judgement is debatable. The important thing about rejection is that you keep working and up your ambition. The important thing about being rewarded is that you keep working and up your ambition. Art is a long game, a lifetime. What is my criteria (today) when it comes to choosing? There is no way around the fact that my choices are idiosyncratic. Do I feel the work is courageous? How much of the artist do I feel comes into this art? How much does the artist avoid a formula? Can I feel the depth of a commitment? Does this work quicken my heart? Does it make me want to run make art? All those things. Another juror would choose differently. Claire Pentecost is an artist and writer who researches the living matters of the unified multi-dimensional being that has grown out of the surface of our planet. Her soil-erg project of 2012 considered the material of soil as a commodity, proposing a soil-based currency system. Pentecost’s work is driven by research but inspired by questions of form. She advocates for the role of the amateur in the production and interpretation of knowledge, while a longstanding interest in nature and artificiality predicates her recent responses to anthropogenic climate change. Past projects focused on industrial and bioengineered agriculture in a global, corporate food system, as well as ecological methods of producing sustenance. Pentecost has exhibited work nationally and internationally at dOCUMENTA (13), Kassel, Germany; 13th Istanbul Biennial; White Chapel, London; 3rd Mongolian Land Art Biennial; Higher Pictures, New York; Corcoran Museum, Washington, DC; Milwaukee Art Museum; Whitney Museum, Stamford, CT; Transmediale 05, Berlin; and American Fine Arts, New York. She is a professor in the department of photography at the School of the Art Institute of Chicago, and holds degrees from Smith College and the Pratt Institute. Atlantic Center For The Arts, 1414 Art Center Avenue, New Smyrna Beach, FL 32168.